I wanted to try something different this week, something I haven't done before, something less glaringly pink. I believe it's become fairly evident that I have a thing for pink cocktails, especially during the warmer months. Mostly because they look like something you should be sipping while sitting on velvet sand, looking out over a sparkling cerulean sea. I decided to start at the beginning, because not to paraphrase The Sound of Music, it's a good place to start. For me that means the 1920s, my golden age, the days of speakeasies and beaded dresses and lavish cocktail parties. It didn't take me long to find a recipe for a South Side, but it certainly did surprise me. In some odd twist of fate, I'd never heard of it. A nice little discovery with fuzzy origins, it's either named for the South Side of Chicago or an old club on Long Island. 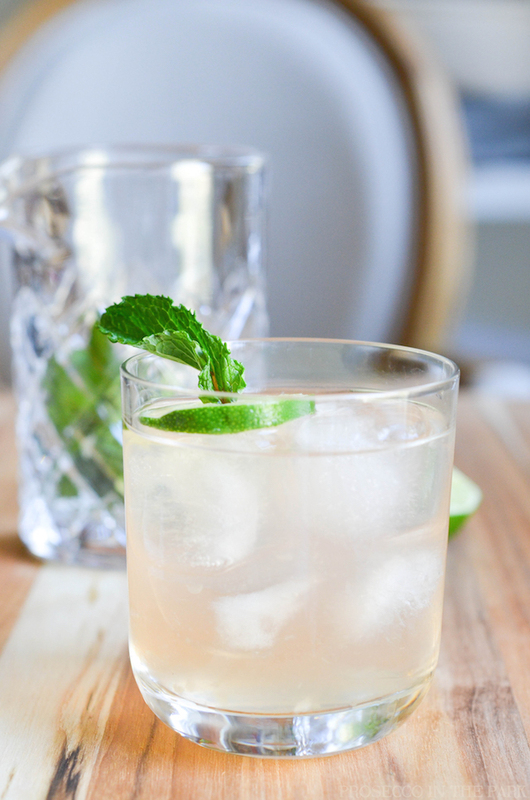 Each of the recipes I encountered all called for slightly different ingredients, lemon or lime, a splash of soda, the addition of unspecific bitters, and varying amounts of mint. I decided to mix and match the bits I liked and went from there. I'm not sure if you could call this a true South Side, but I'm going to. 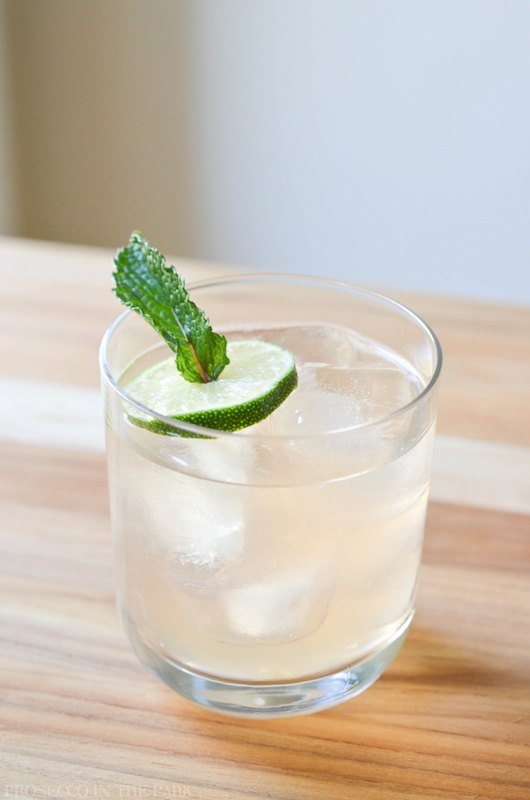 In a large glass or shaker add gin, lime juice, simple syrup, and mint. Shake to bruise the mint leaves. 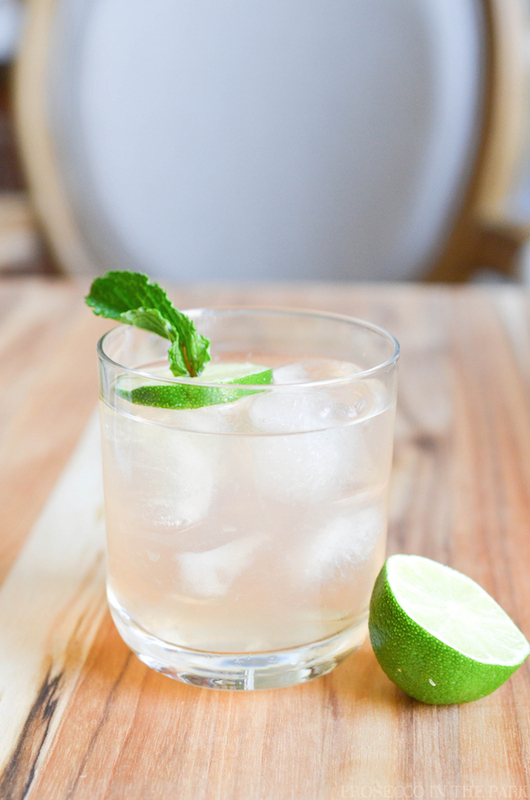 Pour over ice and garnish with lime and mint. Enjoy! Have a wonderful weekend, and wishing all the moms out there a very happy Mother's Day! I've never heard of this drink before but it sounds so delicious! Umm can you just come be my own personal bartender?! :) Happy Friday girl! Very tasty sounding drink!! I wonder which is the correct origin! 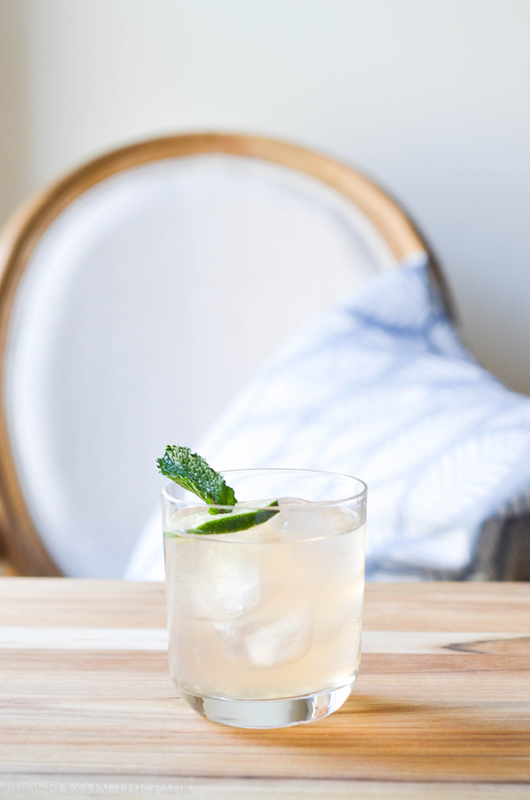 This is so simple, I think I'm going to have to make it this weekend. Thanks, girl! If i drank I feel like this would be my drink of choice LOL looks so good, Ill have to try it virgin style hope it still tastes good! MM this looks soooo refreshing!